I know, it seems crazy, you are having chronic low back pain and I am telling you that you need to exercise. You would probably think it makes more sense to get rid of your pain first and then you will exercise. Well, the Mayo Clinic (you know that top medical center for health care) published an article that explained the physiology of pain reduction in exercise. Exercise for chronic low back pain is like taking medicine. In fact, there are these naturally occurring substances in your brain called ENDORPHINES that work just like morphine. When you exercise your brain releases these substances and relieves your pain. Again, according to the Mayo Clinic article, exercise does even more good stuff for pain. 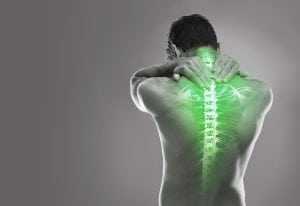 Pain is often caused by inflammation in your body. There are these damaging hormones called CYTOKINES that modulate inflammation. When we exercise we decrease the levels of these hormones. It is like taking aspirin without having to worry about getting an ulcer! Exercise increases blood flow and oxygen to muscles, ligaments, tendons, and nerves in your lower back. It’s healthy to have good blood flow and plenty of oxygen. There are many other benefits to exercise that were mentioned in the Mayo Clinic article (click this link to learn even more) that you can read for yourself and check out what I am saying. 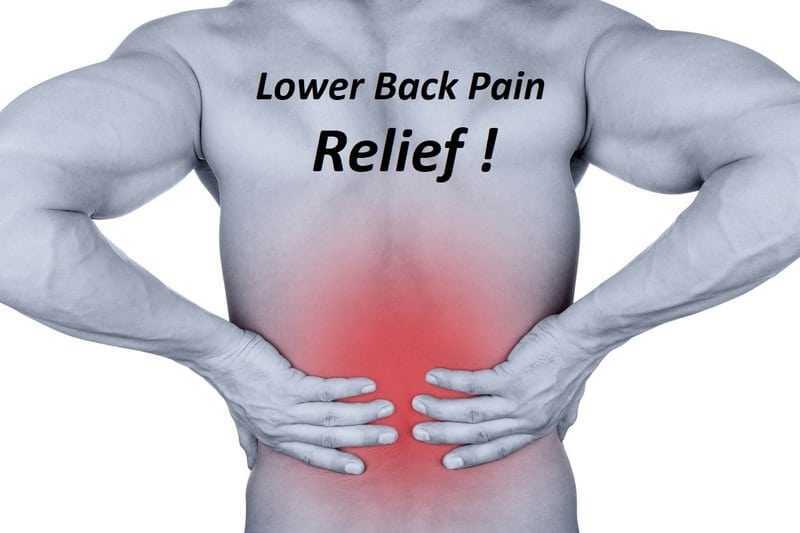 Now I am going to share with you the 7 best exercises for lower back pain. I have picked these out for you because they are easy to do and they work! These are done instead of sit-ups (which are really bad for a person with back pain…so much for my gym teacher). 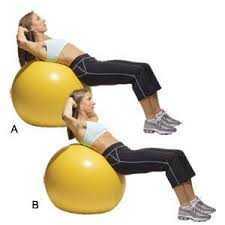 Lying on your back on an exercise ball, tighten your abdominal muscles and raise your shoulders (to about 45 degrees). Hold in that position about 1 second then lower back down. Repeat this 8-12 times. Strengthening your abdominal muscles increases your CORE strength which supports your back. Partial Crunches are great for your core (and back). These are also done while lying on your back. Take a towel…loop it around one foot…and pull back on the towel while straightening that leg. Hold in that position for 15-30 seconds. Do that 2-4 times on each leg alternating. This exercise stretches an important nerve running down the back of your leg called the sciatic nerve (often pinched in low back pain). Standing leaning with an exercise ball between the wall and your back. Then, slowly lower yourself sliding down the wall until your knees are bent 65-90 degrees. Hold for a 10 count then slide back up. Repeat this movement 8-12 times. This exercise braces your back while exercising it. While lying on a mat on your belly…push up with your arms (your forearms will be resting on the mat). This will cause your lower back to arch and stretch. Hold for a count of 5 then lower back down. Repeat the maneuver 8-12 times. Arching your lower back stretches it without putting a great deal of strain on it. Again while laying on your back…feet flat on the mat…pull one leg up to your chest (bending the knee). Keep your lower back pressed to the mat. Hold that position for a 15 count then lower that leg and repeat the motion with your other leg. Do this 2-4 times with each leg. Laying on the mat…feet flat on the mat and legs bent at the knees…push your lower back flat against the mat. Hold that position for 10 seconds…repeat 8-12 times. I have added this to “best exercises” for a couple reasons. I know that it may not be convenient because you are going to have to find a pool that has classes. But, the effort will be worth it. You see the buoyancy of the water has an anti-gravity effect. This takes a lot of strain off your lower back. Furthermore, the water adds some resistance to any exercise you might do. You will also have the benefit of the cooling effect of being in the water (it is almost impossible to overheat during aquacise). If you are suffering with chronic low back pain you need to take exercise out of the “optional category” and place it in the “mandatory category”. Exercise is “medicine” for a person in chronic pain. Begin your “medicine” today and start exercising. Begin with the exercises we have suggested after consulting with your Doctor. What do you have to lose…other than some pain? If you have questions or would like to leave a message please do so below. I would love to hear from you.